Daytona Billet Switch RED Illumination. Autoloc’s double mount switch plate with billet White-illuminated switches. Add to your interior for a custom finished look to any where you want to use them. 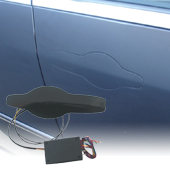 Add a Ignition switch and a accessory switch side-by-side, window control,trunk opening or door locks there are endless uses or combinations for operating and controlling all instruments. AutoLoc billet buttons feature a super-smooth machined finish manufactured from billet aluminum. They are available with or without vibrant LED illumination and have mechanically flawless button activation. The buttons come in six different sizes and are water-resistant. 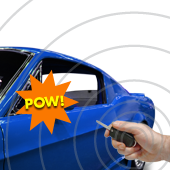 Feature :: Great for power windows, locks, etc.